· The Suunto Movescount App is compatible with iOS7.1 (iPhone, iPad) and with devices that run Android 4.3 or later. iPhone and iPad are trademarks of Apple Inc.
· Rich math functions, if/then-logic, sound, backlight, etc. 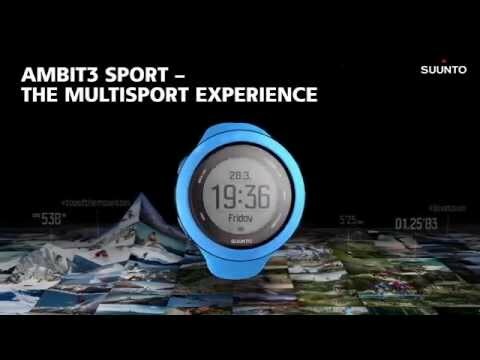 Suunto Ambit3 Peak Black, Suunto Smart Sensor and heart rate belt, USB cable, Quick Guide, Warranty Leaflet.